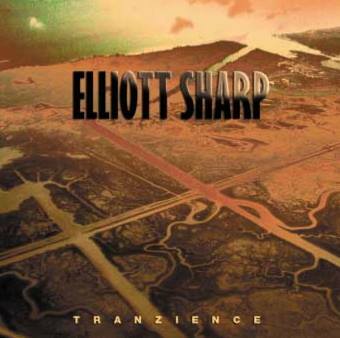 Elliott Sharp’s Vivarium is a program of new and recent works partially drawn from his just-released album, Tranzience, on New World Records. With the talents of top contemporary players and ensembles JACK Quartet and New Thread Quartet, Vivarium brings Sharp’s works into exciting and unexpected realms. New Thread will perform Sharp’s adventurous work Approaching the Arches of Corti, for 4 soprano saxophones. Saxophonist Geoff Landman performs the world premiere of my work, Jaw Box for solo soprano saxophonist, as part of a Guest Artist Recital at UMKC Conservatory of Music and Dance in Kansas City on September 12th. Alongside works by Berio, Bach, Vasenna and Lazcano, this looks to be an epic display of saxophone execution. Jaw Box occupies a realm between pitch, unpitch, speech, and noise. All sounds are acoustic – produced by the solo soprano saxophonist, vocally, bodily, through the instrument, or in combinations. New music-theater works by writer-composers Rick Burkhardt and Gelsey Bell, including the world premiere of Burkhardt’s PASSOVER, and new scenes from Bell’s Rolodex. Both composers explore the vocalizing instrumentalist in disjointed modes of storytelling. Commissioned by thingNY, PASSOVER is a performance-ritual for six singing/speaking performers, seated at a dinner table on which there lies a double bass. Each performer relates the story of a friend’s escape: from a bad marriage, from an unfair situation at work, from a run-in with a traffic cop, from an ethically compromising opportunity, from an awkward family dinner. Ultimately, it becomes clear that all of these friends form one collective identity. thingNY’s own Gelsey Bell will lead the ensemble in new songs from her evolving game-piece opera Rolodex. Praised by the New York Times as “imaginative,” with work that is “uncomfortably powerful,” “virtuosic,” and “haunting,” Bell draws on techniques across music and theatre to create a disjointed storytelling with a score in the form of a rolodex.